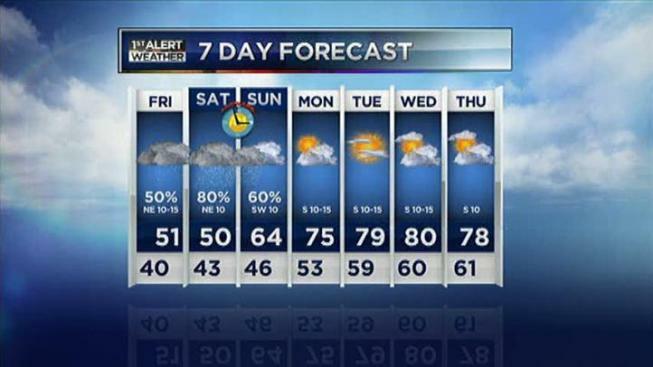 Chilly temperatures settled into North Texas on Thursday as a cold front moved in earlier than expected. The cold front arrived before noon, bringing brief, heavy rain and gusty winds. The temperature dropped 25 degrees in an hour on Thursday. Periods of heavy rain will return Friday evening and may persist through the weekend into Sunday morning. 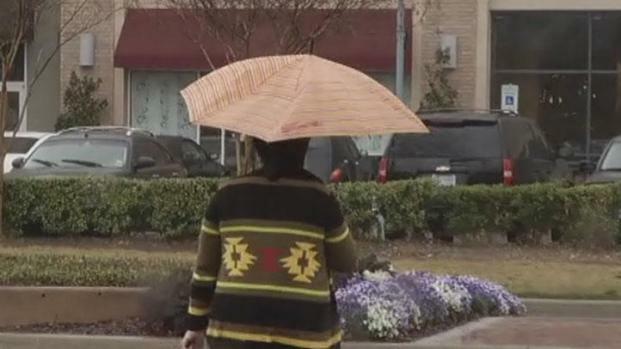 After a mild winter, some Collin County residents weren't prepared for the change in weather on Thursday as a cold front brought a drop in temperature and rain. At 10 a.m., reports of wind damage from storms were already received from Lamar and Delta counties (northeast of DFW on the Red River), where gusts of 60 mph were said to have downed trees and damaged a farm building. NBC 5 Chief Meteorologist David Finfrock said North Texas could ultimately see as much as 2 to 4 inches of rain, with heavier totals expected in the eastern counties. You can always get up-to-the-minute weather information on NBCDFW.com and by following the NBC 5 Weather Team on Twitter @NBCDFWWeather.